Pastor John Hagee explains the mysterious vanishings of millions across the earth and whisks us into the period of tribulation. 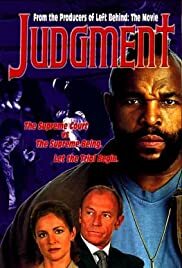 Mr. T's first starring made-for-TV movie role has him playing a tough and scowling, but softhearted, nightclub bouncer who finds himself involved with a bunch of kids after being conned into taking over a youth center. Stars: Mr. T, Dennis Dugan, John P. Navin Jr.
Victoria Thorne: You know what they say: Good fruit can't fall from a bad tree. Mitch Kendrick: Well, you better warn your kids. As the final instalment (at the moment) of the Helen Hannah v O.N.E this is pretty good. Cloud Ten are getting more and more quality actors with each feature and it shows. A fairly riveting courtroom drama that is definitely less preachy than Tribulation.